SAVANNAH, Georgia, October 5, 2018 — Gulfstream Aerospace Corp. today announced Thomas Horne, director, Flight Operations Test, Gulfstream, has been inducted as a fellow in The Society of Experimental Test Pilots. Horne’s induction reflects his extensive test-pilot expertise and experience as well as recognition by his peers in the society. He joins three other Gulfstream pilots — Gary Freeman, Kevin Prosser and the recently retired Harold “Randy” Gaston — as fellows in the prestigious organization. Horne joined Gulfstream in 1997 as an experimental test pilot during the Gulfstream GV flight-test program. 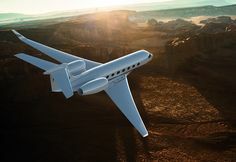 He later served as the project pilot for the revolutionary PlaneView G550 flight deck and was a test pilot on the first flights of the Gulfstream G550 and the Gulfstream G650. Horne became a licensed pilot at 18, a licensed airplane mechanic at 23, served as a flight-test engineer and F-16 fighter pilot in the U.S. Air Force and is a distinguished graduate of the U.S. Air Force Test Pilot School. As an Air Force test pilot, Horne performed all areas of F-16 flight-testing to include envelope expansion, weapons employment and avionics development. He was a flight-test squadron commander and test operations group commander before his retirement from the Air Force in 1997. The Society of Experimental Test Pilots is an international organization that seeks to promote air safety and contributes to aeronautical advancement by promoting aeronautical design and development.